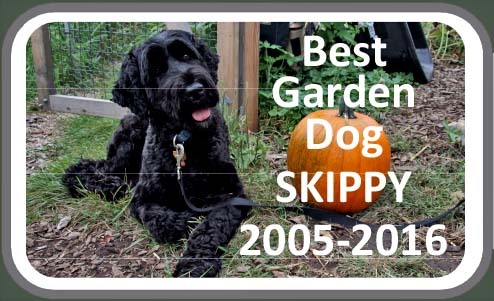 I'm starting to feel guilty about tilling my garden and this was a big discussion topic during my Thanksgiving travels. Here's are highlights from my quick research on the topic. "Lasagna gardening is method of layering organic materials and compost right in the garden and then planting directly in these layers. 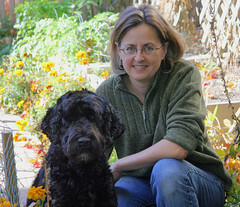 Its a time saving organic gardening method developed by gardener and writer, Patricia Lanza, which requires no digging." Lasagna Gardening by Colleen Vanderlinden. 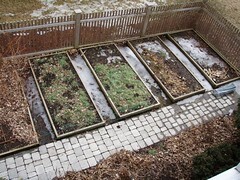 At Amazon.com: Lasagna Gardening: A New Layering System for Bountiful Gardens: No Digging, No Tilling, No Weeding, No Kidding! by Patricia Lanza. - Where do you get all that fresh organic material? I'm not going to go out and buy plastic bags full of peat. 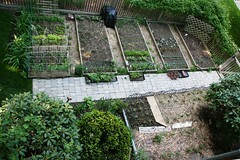 - Why compost in my garden? I have a nice compost pile. I collect it all year and it'll be really nice this spring. Plus I have access to composted yard waste from the town. - Why not grow a cover crop? Growing a legume crop a very efficient way to generate nitrogen. Cover crops require tilling in the spring and aren't compatible with no till methods. 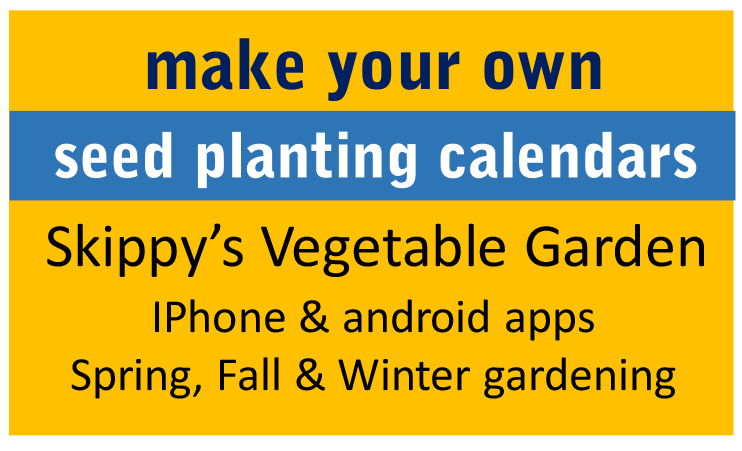 - Why try to save time in the garden? Its only a small plot and some exercise is good. - What if you don't have enough worms to mix the soil and poke holes in the layers? Layering is a perfect method of preventing water from reaching the lowers levels. Layered soil has the poorest drainage rate. - And if its important that worms mix the soil, why not help them by turning it myself? - No-till methods may be important to prevent erosion in large fields, but for a tiny home plot on flat land, erosion is not an issue. - How can you do a soil test on a lasagna plot? Which layer would you sample? I seem to be talking myself out of this method here. Maybe I'll stay pro-till another year. I read the Ruth Stout book and gave it a try. Unfortunately, I could never come up with enough organic matter to make it work right. This year I am switching to raised beds with pretty good success. This is my second year growing veggies, and the second time I've built raised beds & filled them according to the lasagne method. I find them useful because I rent, and move often, so spending season after season improving the existing soil is not something I can feasibly do. Lasagne-filled raised beds take almost no time at all to make, and my plants have always grown really well in the mix I use as long as I plant them in as seedlings rather than seeds. Rather than cover-cropping I top the mix up with another layer of compost & straw mulch at the end of a season to replace the volume lost as it all processes & settles. At the end of the first season growing in my first set of raised beds, I was genuinely astounded at the quality of the dirt I encountered when I was pulling up the plants & dismantling the beds (had to be done to return the backyard to it's as-leased state). It was full of worms, very light, dark & crumbly, with no sign at all of the original ingredients that had gone into it. My new beds are all progressing equally well, with dirt I can easily separate with my hands (compared to the rest of the dirt in my backyard, which is rocky, compacted, and back-breaking to dig). I think that, if you're not someone with the time considerations I have, the other main consideration is soil structure, that is that using raised beds & then never stepping on them results in excellent soil structure that doesn't compact and hosts lots of beneficial soil life. I also read a lot about soil life webs which don't necessarily like to be disturbed by digging/tilling (but I don't say that to imply that you do anything wrong when you till & dig!). I suspect that you won't find that lasagne-gardening is an amazing fix for you, because your gardening style already works well for you. It's just another option, one that is good for people who can't do cover-crop-and-till for some reason. ** It's not necessary to use a lot of fresh organic material, in fact it's not necessary to go out any buy any. The most important thing is you don't disturb layers as they form in your garden, and when you add something like home made compost, you just spread it on top. 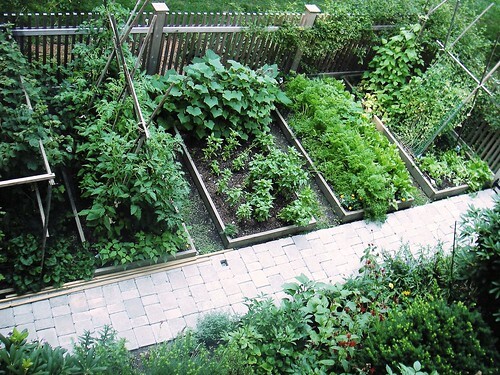 You garden exactly like you are doing now, just don't dig! ** It doesn't matter. If you like to make a compost pile, make a compost pile. If you get used to just leaving it in your garden, then you don't have to haul everything back and forth to a compost pile and you have the extra advantage of mulch in your garden. I prefer a compost pile too. ** I think like I was mentioning before, no-til and cover crops are not mutually exclusive, you just need to give it some thought. For example growing annual rye and cutting it back rather than turning it under. Another option is clover that you kill a little bit by smothering for a short time or pulling it out a bit, then use it as ground cover together with the next crop. You just have to experiment a little and be creative. ** The worms take care of themselves. If they come it's nice, but if not they aren't necessary. They are not really the most important part of lasagna gardening, just an added bonus. I don't think you'll have problems with drainage, but if you do you need to choose different things for layers. ** The point is you let the worms do the work, so you don't have to! If there is something in your garden a worm wants to eat, it's easier for it to find if it's in one spot or a layer, if you mix everything together you make the worm work harder to find it's food. Newspapers are only necessary to smother weeds, and just one of many possibilities for layers. You can also cover the newspapers with compost or dirt if you want. The idea is to make layers, it doesn't really matter what those layers are. 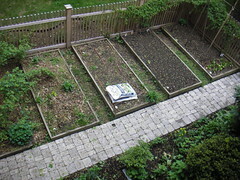 Some layers will be distinguished by materials (compost, newspapers, mulch, etc) and others by age (2008, 2009, 2010, etc). ** Then this won't be one of the reasons you try no-till gardening! ** Just like you always do with a soil test, you take many samples from many different places. You will never end up with perfect layers, and many of them will only be a few millimeters thick and not very visible, so the hard part will be finding the layers rather than getting a good soil test. Layers that aren't yet dirt (newspapers, mulch, etc) don't belong as part of the soil test. Before the tractor came along no one tilled their gardens or fields. With the introduction of the tractor and garden tiller, everyone uses these tools without thinking about what they are doing. When they don't have a power tool, for some reason gardeners often feel it's necessary to use a spade to dig their garden with the same goal in mind. No-til is more of a mindset than a set of fixed rules. It's just about not digging in the compost, because there's no reason to. 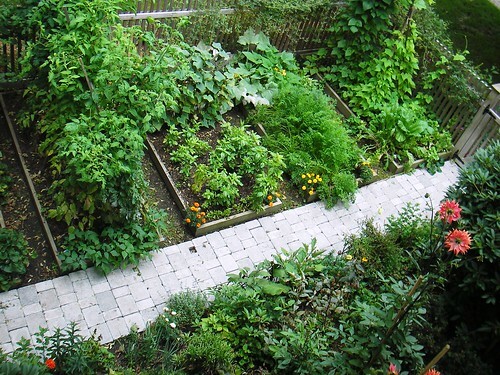 When you don't dig, you encourage more natural processes in your garden, discourage weeds because their seeds stay buried in the ground and you save yourself a lot of work. This is all there is to it! The idea of no-til is a lot like the idea of organic. It's more about what you don't do or use, rather than what you need to worry about doing. OK. Now I'm almost convinced to give it a try. Certainly a great set of comments here to read through and consider. I would skip the newspaper. And I think a cover crop of just clover and field peas might be nice (no winter rye) as these are killed by the cold. What a wonderful thread with thoughtful comments! Happy I stumbled upon it. 1.) Re: the worms and the living bio community of good bugs in your soil -- the annual tilling tends to destroy many of these beneficial communities. I had a vermi-expert once explain it to me by saying that in nature, the soil is only radically disturbed (as it would be by tilling) during natural disasters (earthquakes and such). It takes a while for those communities to rebuild and annual tilling may mean less helpful bugs and fungi overall. 2.) The newspaper (or cardboard or whatnot) you mentioned in the lasagna gardening is promoted by our local (Portland, OR) watershed council in their naturescaping workshops. Besides quashing weeds and unwanted plants below, we learned, the paper actually attract worms like crazy. Being skeptical ourselves, we tried the method when we relandscaped our back yard. We laid down layers of cardboard and piled on the compost and mulch and now, one season later, there are red worms just below the top layer and nightcrawler burrows with castings aplenty. Our grass was killed by the cardboard and the worms found their way, much to our pleasure. 3.) As far as getting aeration (one of the things you're looking for with worm activity, right? ), maybe consider a tap-rooted cover crop like fava beans (my favorite cover crop). 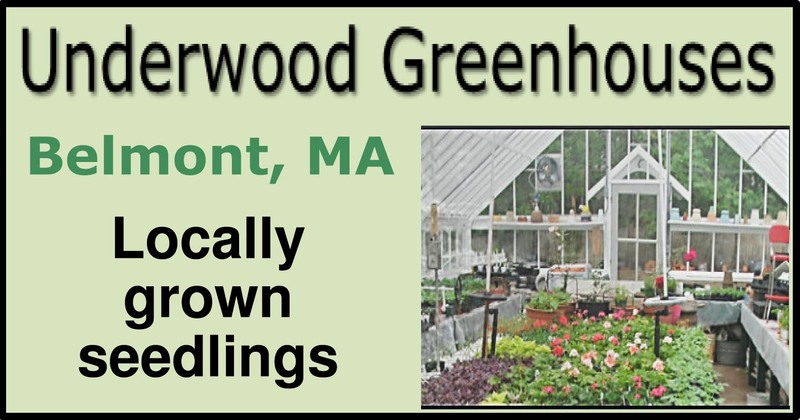 They provide an enormous amount of "green manure" when you're done growing them and their roots reach way down to dig through and break up clay soils and such. We've used favas for two years now and couldn't be happier (the resulting beans in the summer are heavenly, too!). Lastly, what a great blog! Yours is one I visit each week and am always happy to see what fun things you and that handsome dog are up to. Keep it up and thanks for sharing! Thanks Jeff. I always thought fava seed was kind of expensive. I'll look into this as a cover. They did really well in my garden last spring. The plants are in my compost now. Thanks jeff. I love this stuff. Kathy ... go to your nearest ethnic foods store and buy a bag of dried favas. Turns out that they are not treated and they are much less expensive than seed favas. I use them with layered beds and if they survive the winter to grow in the spring I just gently chop them into the bed ... usually where I am planting transplants, not seeding. I'm not affilitated with Territorial and haven't ordered from them a lot -- and, you actually wouldn't even find this item on their site if you searched "cover" or "fava". But, it's what we used this year and I thought the price was reasonable and the coverage has been awesome (the plants are six-feet tall after two months). Fun thread. Kathy, et al ... one more thing on no till seed starting. Here is my trick for very early planting of seeds that don't mind cold'ish soil. As soon in the spring as the ground thaws, I use my spring-tined hand hoe to clean up and rough up the top of the soil. Then, I take a piece of 2 X 2 and press the corner of the length into the soil to form a "vee" depression along what will be a row. The seeds go into the depression and potting soil (usually Pro-Mix) goes on top. 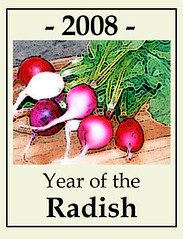 I have done this for parsnips without ever tilling or spading and i get foot-long or even longer parsnips. That's why I do it. It's actually more work for me, because now I am trying to use cover crops as much as I use straw and other kinds of mulches, and the winter hardy crops like rye actually need to be scythed or cut if you aren't tilling... I don't care, beautiful, rich, organic soil is worth it! I don't have many worms in either of my gardens. Would love to increase this. I wonder if they just like the higher concentration of organic stuff. 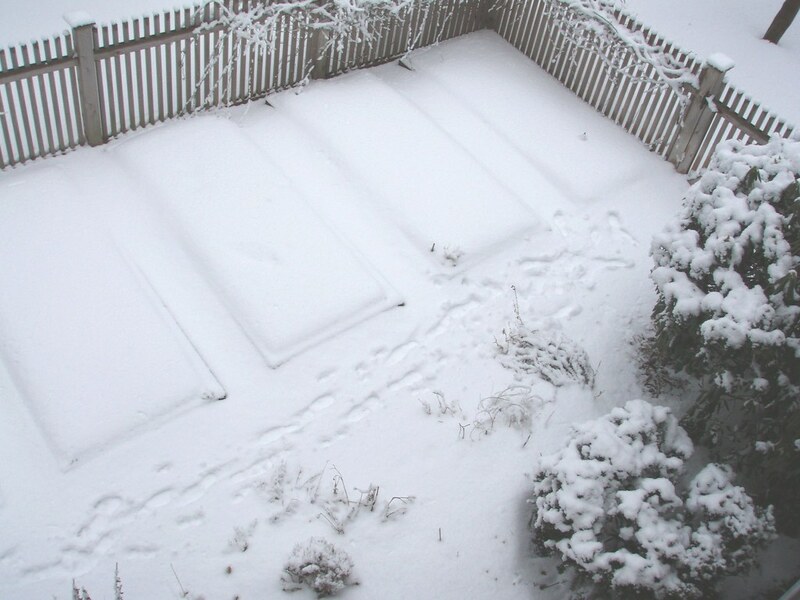 Also, I like pjkobulnicky's potting soil method of starting cold-tolerant seeds outside. Great thread! I'll put in a plug for newspaper and cardboard. We use both extensively, and it is enormously beneficial. Nothing has proven better at keeping aggressive weeds at bay, and the worms love it, (and the chickens love the worms) and our soil texture improves with every season. I'm also a fan of well composted horse manure. I haven't had a problem with magnesium, and the nitrogen boost and soil texture are great. Between the chooks in the garden spring and fall and the cardboard, I'm not suffering from weeds. 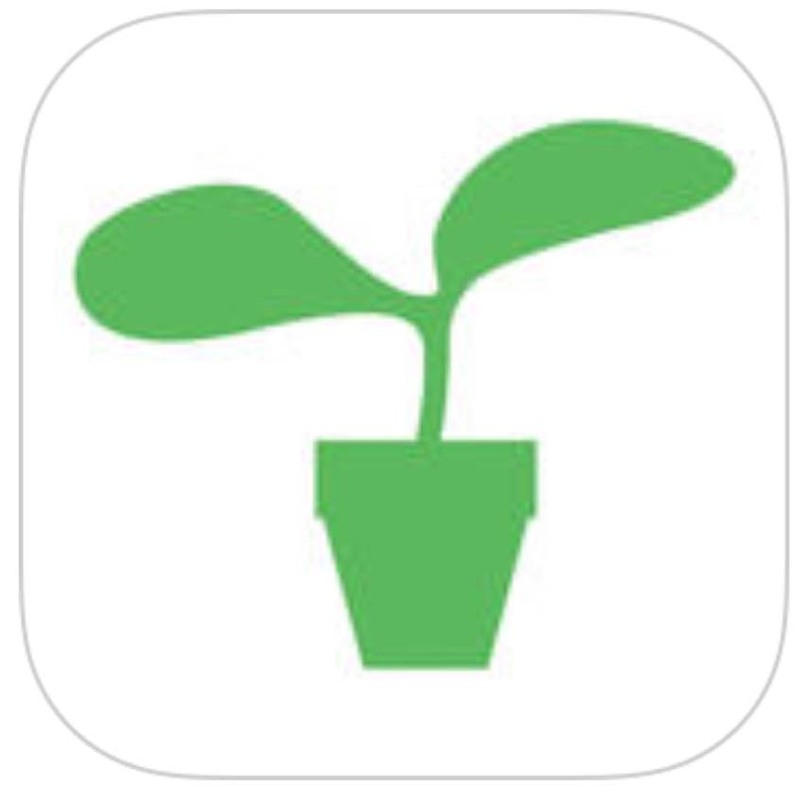 i have found this the best and easiest way to grow vegetables if you don't have a lot of time. i scrounged cardboard boxes from the back of a friendly's and laid them out. then i dumped soil (from excess in the yard)peatmoss (i bought)compost (i had been collecting)hay (given away after someones halloween decorating was over)grass clippings (free from lawn and lawn companys) leaves (from my yard and neighbors yards) and topped off with ashes from my fireplace. almost completely free and my plants THRIVE in it. my aunt has been gardening for over 40years and couldnt believe the crop it yeilded. plus, the weeds are kept to a minimum. yay! I tried raised beds with lasagna gardening this year. I put cardboard on an area that I was not ready to garden and then piled up the dried clipping from my tall decorative grass and extra branches from my yard. I put it in an unused area, because I was going to use them in my lasagna garden. After a couple of months I went to use them and found so many worms under the cardboard, I was amazed. I heard the best hint ever!! Save your newspaper and grass clippings. As I go around the garden and pull weeds, I put newspaper around the plants and then pile the grass clippings up high on the newspaper. After you are done for the day, wet down the grass. I hardly ever weed that area again!! The worms come and I have the largest crop yields I have ever had. After the grass turns brown, it makes a nice mat and makes the garden look nice. I went on vacation for 10 days, and without watering the garden, it was growing like crazy when I got back. The thick layer of newspaper and grass keeps the moisture in. I bought horse manure and soil when it was on sale and built up the beds. I continue to put my grass clippings on the beds. I have a compost pile on the side for all the old leaves and stuff I trim off the plants. Can't wait for next year. It will be even better. 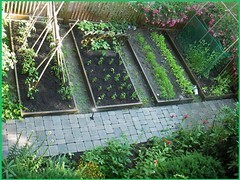 I have been following lasagna gardening but am not sold on it...and I consider myself an organic vegetable gardener. While it is undeniably better to not till the soil excessively, lasagna gardening creates layers of dissimilar materials that plant roots may find difficult to penetrate. Felder Rushing (The Gestalt Gardener) considers lasagna gardening to be a big hoax. I do like the emphasis on finding low-tech mulching materials (straw, cardboard, burlap, etc.) to shade the soil and add to organic matter. I just started my own lasagna garden today as we have lots of newspapers and grass clippings and fall leaves. We used the mulching mower and bagged the leaves and grass in one step and threw in down on top of soaking wet newspaper layers to smother some leftover pachysandra peices already tilled under. I picked most of them out, but I'm hoping this method keeps the rest dormant under the layers. With all this decomposing material in the garden beds, has anyone had problems with more slugs in Spring? They love wet leaves. Also, Kathy, I love your blog and am learning so much. Skippy is really adorable. Hi. 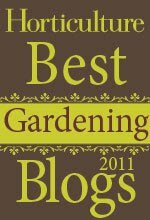 I am a gardener that wanted to know better ways in which to garden without pesticides. 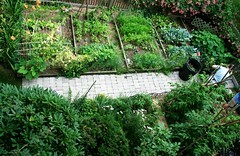 I am taking a course in organic gardening. A great book to read is Teaming with Microbes by Jeff Lowenfels & Wayne Lewis. It explains ways to use what you have in your garden to mulch with (very similar to Lasagna Gardening) and all about the microbes withing the soil which help in breaking down this matter and fertilizing naturally. Sounds great. I just added it to my book order. Its a perfect time of year to learn more about soil! I have never heard of a lasagna garden before... Interesting! I am afraid I would not have enough organic material however. I just found this, and found the comments to be interesting and helpful. I made a lasagna bed last Spring with whatever I had available. I started it in March, and planted in May. I wasn't sure if seeds would work as well as transplants, so added a little soil where I put the seeds, just in case. My only concern was that it might retain too much moisture, because we had a really rainy summer. 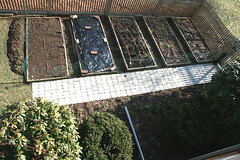 But by the end of the season, the soil in that bed was completely composted, and a really nice texture. And I did have a lot of worms living in it, too, compared to my other beds. And I ended up using the soil it as a top layer in my newer modified lasagna beds that I'll be using this Spring, because that bed was too shady most of the day. I hope that you will try lasagna gardening. I have had great success with it. The newspaper & cardboard are important weed barriers, so I wouldn't skip them. If you need free organic materials, you might want to use what I have found: leaf mould from our county leaf composting, leaves from my neighbors gathered in the fall, coffee grounds from coffee shops, pumpkins & straw from Halloween, and composted horse bedding from our county horse shows. I have beautiful soil that was hard clay 5 years ago. I can dig through my garden with my fingers now. I paid for none of these materials and they were all going to be thrown away anyway. I get the leaves with a neighbor. She has a pickup that we drive around the neighborhood in the fall and load up the back with bags of leaves (look in the sacks for walnut leaves, and avoid using those sacks on your garden). I have a mulching mower that I use to chop the leaves before spreading them on the garden. I found the source for the composted horse bedding by posting on Craig's List. I have a new area for gardening at the end of the alley behind my house. I'm putting in raised beds. 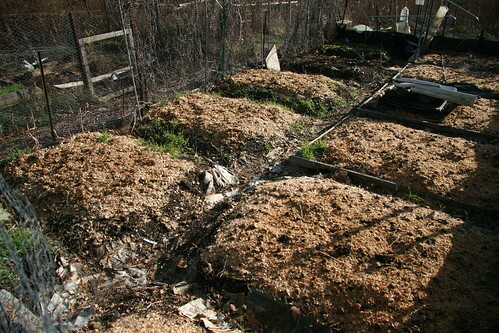 My goal this year is to get a tree company to dump a load of wood chips back there so that I can use it as mulch between the beds to keep the weeds down. Good luck in trying lasagna gardening! Amazing where you can find organic materials! Hi again! I posted in November that I just started a new garden using the lasagna method. It's now April and the onion sets I planted 2 weeks ago took off like crazy in these beds. The directly sown pea seds love it because it's holding moisture really well. I did add some soil on top of one bed for small seeds like lettuce and these are doing ok, but not as well as the beds which I did not add more soil to. There are so many worms and they are right up at the surface of the mulch. 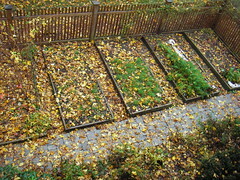 The beds that were prepared with the lasagna method in the fall have far fewer weeds than other beds. And any weeds that came up have been very pleasant to remove because the weeds just come right out of the composted materials with a little tug. Planting was simple too. I didn't really need a trowel. You just push aside the materials, sow the seeds, and push the materials back on top. No backbreaking tilling. I'm hooked! I'm waiting a couple more weeks for last frost before I plant seedlings, but I imagine they will do even better than the seeds. This is so interesting & I can't wait to try it...I just got a bunch of old newspapers from our library, 3 large bins of vegetable scraps from the local food coop, coffee grinds from the coffee shop, some compost from the city and bags of leaves from our neighbors (all free). I'm going to layer all of this tomorrow & hopefully will have great garden next spring!